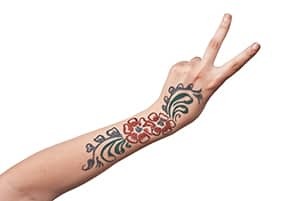 When people decide to get tattoos, they undoubtedly put a lot of thought into what designs would they like and what artists will perform the service. Well, at least, you would think that most people would. We probably all know someone who has received a less-than-stellar tattoo from a less-than-reputable tattoo artist. And this is why Laser Tattoo Removal has become so popular. Here we will provide some tips for laser tattoo removal. If you have a tattoo that you wish you never received, it’s a good thing that this innovative technique is available. But just because Laser Tattoo Removal exists, it doesn’t mean that you shouldn’t put in an equitable amount of thought into who will be performing your service. Just like the concern you had (or should have had) when selecting your tattoo artist, you need to put thought into who will remove your tattoo. Just as there are steps to the tattoo removal process itself, there are also some steps that need to be taken before deciding upon who will be providing you with the treatment. In this YouTube video, Harry Moseley, the President of the British Medical Laser Association, provides what he call his “top tips fo laser tattoo removal” on how to properly go about selecting where to get your laser treatment. Do Some Background Research. “Make sure that you know as much as you possibly can about the procedures that you’re about to have undertaken on you,” says Moseley, “It’s important. It’s your skin. It’s you that’s being treated. Make sure that you know what they’re going to do.” The importance of this advice cannot be understated. Consulting a licensed and experienced physician is always your best bet. You want to work with a trusted and knowledgeable source. In the British Columbia interior, no one has been performing Laser Tattoo Removal procedures longer than DermMedica. At the clinic, the Q-Switched Alexandrite laser is used for the removal of tattoos. This laser, which is known for its ability to remove stubborn blue and green ink, is not available anywhere else in the region. Ask Friends. Moseley encourages potential patients to talk to people they know. Ask around and get some opinions about where the best places would be to get laser treatments. There’s nothing like a good old referral. Especially if it’s coming from someone you trust, a recommendation can mean the difference between you being completely comfortable or totally uneasy about the procedure you’re getting. Have they been to the clinic? Have they had good experiences? These are some of the questions that Moseley suggests that you pose to the people you know who have had experiences with laser treatments. He also advises that you ask questions at the clinics that you are investigating. “Talk to the person who will be doing the treatment,” he advises, adding that you should also have a look at the equipment being used. Be Wary of Money-Saving Offers. According to Moseley, those who offer special discounts and coupons may not be as experienced as you’d like someone using a laser on your skin to be. “You could end up with a scar on your face, and you don’t want to do that,” he warns. For more information or to book a consultation, please feel free to call DermMedica toll free at 1-866-861-3070, or if you are in Kelowna, call 250-868-3070.